Out of 38 episodes of the Cast Party podcast, surely the most popular was the All-Star Liza Birthday Spectacular, with on-air greetings from Carol Burnett, Carol Channing and Tony Danza. - Stephanie J. 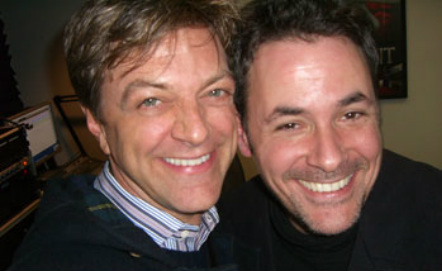 Block & Jim Caruso Talk New Album, Liza & More - Preview Duet! 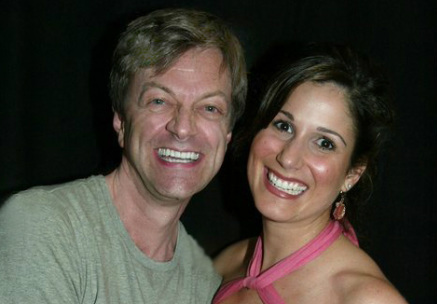 Jim interviews Liza at Sardi's! What could be more New York than THAT? In June, 2009, their show "Liza's at The Palace," was up for a Tony, so they were asked by BroadwayWorld to chat about the experience! Little did they know the Tony was about to be theirs!. - Liza's at Broadway World... Answering your questions! Jim was the proud recipient of the Summit Award for an 18-part radio series called "Here On Broadway." Listen to his in-depth and surprisingly hilarious interview with Adam Guettel, the Tony Award-winning composer of The Light In The Piazza.